Publication is underway on the 17th annual Explorer Visitors Guide. 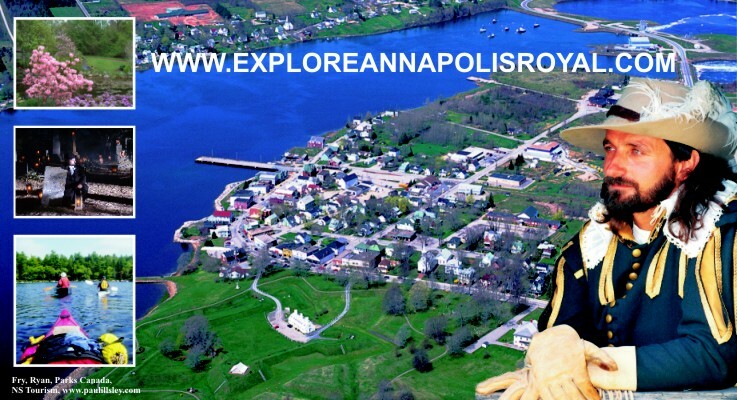 The upcoming year promises to be an exciting one for the historic and scenic Annapolis Royal Area of Nova Scotia, Canada, and publication of the 17th annual Explorer Visitors Guide is in full swing. The popular Explorer has welcomed visitors to the area since 1995 and was recognized in 2009 for Excellence in Marketing during an important analysis of the various promotional materials available for Southwest Nova Scotia. This entry was posted in Accommodations, Arts, Dance, Explore Annapolis Royal, Explorer Guide Partners, Gardens, Heritage, Recreation, Theatre, Tours and tagged Annapolis Royal, Annapolis Royal Nova Scotia, Explorer, What to see and Do, What's Happening. Bookmark the permalink.